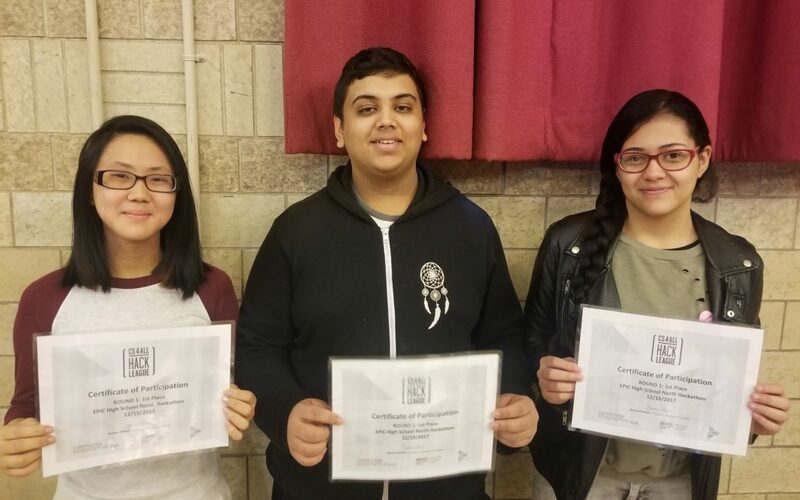 Sarina Yu, Jahaan Jain, and Marlyn Paulino are our first EPIC North Hackathon winners. They will be moving on to the second round to compete with 100 schools participating in the Game Design Hack League. You can see their winning submission here.